The number of people in the North-West seeking help to stop looking at sexual images of children online has more than doubled in just six months. In the six months between July 2017 and January 2018 1,747 people from the North West contacted Stop it Now! (Stop it Now! is a child sexual abuse prevention project run by child protection charity The Lucy Faithfull Foundation), seeking help for either their own online sexual behaviour, or for that of someone they knew. In the following six month period that figure had leapt to 3,549, a rise of 103%. People seeking help and support were able to access it via specialist self-help online resources on the Stop it Now! Get Help website or via the confidential and anonymous Stop it Now! Helpline (0808 1000 900). 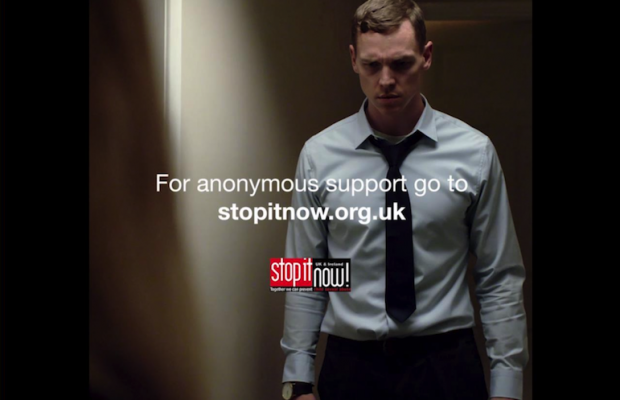 The dramatic rise in the number of people seeking help from Stop it Now! follows a major public awareness raising campaign launched by Stop it Now! in January this year. The campaign was supported by the North West Regional Organised Crime Unit (NW ROCU) and police forces in Lancashire, Merseyside, Greater Manchester, Cheshire, Cumbria and North Wales. • make people aware that there is help available to stop such behaviour via the Stop it Now! Helpline and the Stop it Now! Get Help website. The NW ROCU and the six police forces communicated these key campaign messages via their social media channels to large numbers of people in the North West. And police forces also worked to engage local partners such as local authorities to further amplify the campaign and its messages via their own social media channels. A major conference, co-ordinated by the NW ROCU, was also held in Leigh near Wigan in April. The conference brought together police, social workers, local authorities and other frontline child safeguarding professionals to discuss strategies for further deterrence and prevention work in the North West. Assistant Chief Constable Alan Barr, North West Regional Lead for Serious and Organised Crime, said: “The problem of viewing indecent images of children online has grown exponentially in recent years. Technological advancements, increased accessibility, and the presumption of anonymity have all led to more and more people viewing and sharing illegal images. Every time a sexual image of a child is viewed, that child is re-victimised and further demand is created. It is vital, therefore, that we work closely with partners and use all available resources to protect children and, wherever possible, prevent offending. Reflecting on the success of police co-operation with Stop it Now! in the North West so far, Director of the Stop it Now! Helpline, Donald Findlater, said: “We are delighted with the success of the campaign so far, with nearly 600 people from the North-West seeking help with online sexual behaviour towards children every month. Mostly these will be men seeking help to manage their own behaviour in viewing sexual images of children. But a growing number of other adults – wives, partners and parents – are getting in contact because of concerns about the online sexual behaviour of someone they love. But there are thousands more people in the North-West continuing to view sexual images of children online. Just as there are thousands more wives, partners and parents who are, or who should be worried about the online behaviour of someone they love.